You hire a fashion consultant to help you redesign your wardrobe. He tells you to get rid of your most recently acquired shoes. You gasp in surprise because you bought the shoes only a couple of days ago. All the celebrities are wearing them. How can they not be fashionable? You may ask the same thing about helping verbs. Aren’t they always in fashion? The short answer is no. New words are always emerging. All types of words, not just verbs, shift in meaning or become obsolete. For example, consider the case of thee and thou. These words were standard a few generations ago. Today, the pronoun whom is in danger of falling completely out of use. Dictionaries eliminate dozens of words every year to make room for new additions. Language is like a living thing, growing and adjusting to changing circumstances. In particular, the use of helping verbs is changing at a remarkable pace. What are some of the major trends and why are they occurring? Here is the story of the helping verb. Auxiliary means “giving support or serving as an aid.” An auxiliary verb, then, is another name for a helping verb. So, these verbs help, or support, the main verb in the sentence. The three most common auxiliary verbs, to be, to do, and to have, are not experiencing much change. They are called the primary helping verbs. All three of them can serve as main verbs, but they perform special duties when used as helping verbs. Briefly, here is an overview of these popular verbs and their function. Forms of to be often help the main verb express tense. Forms of to do appear in negative statements, questions, and emphatic statements. To do also helps speakers and writers avoid repetition by standing in for the main verb. The last of the primary helping verbs is to have. When you want to say that a particular action occurred at some earlier time, you use the past perfect tense with the aid of a form of to have: She had already eaten all the pizza when the movers arrived. Let’s look at the rest of the auxiliary verbs. 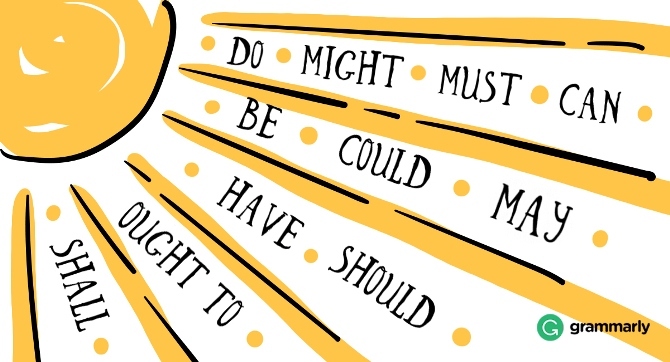 The modal verbs express ideas such as ability, uncertainty, necessity, and permission. In fact, the term modal means “noting or pertaining to mood.” Some of the modal verbs perform extra duty; they have more than one meaning. Let’s briefly look at how modals function. Could and can express ability: Jim can bench press 150 pounds. Lina could run faster if she trained with a marathon coach. You can use may and might to represent possibilities: It looks like it might rain today. It may rain tomorrow. Modals such as must express necessity: I must listen more closely next time. Finally, may is also used for permission: You may go outside after you put your toys away. To be clear, need to and going to are semi-modal verbs. True modal verbs don’t have an infinitive form or a past tense form. They never end in -ed or -ing. Semi-modal verbs sometimes act like main verbs and other times they function like modal verbs. 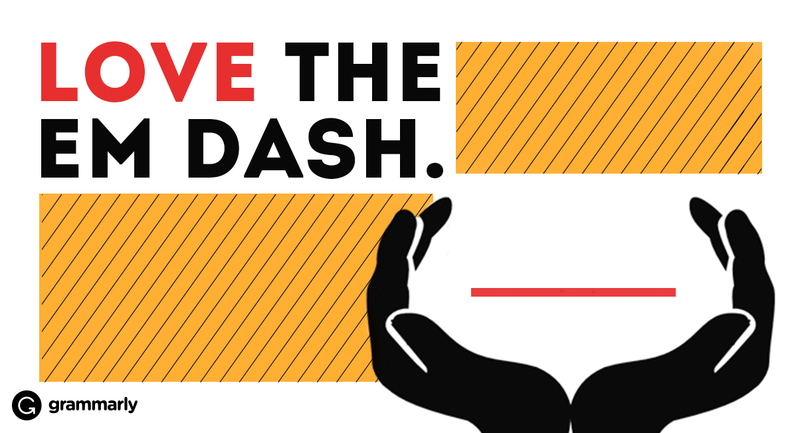 Other modals that seem to be in flux are “might,” and “have to.” In the past, the verb must usually expressed necessity: I must run faster if I want to catch the train. Presently, people are more likely to talk about necessity with going to, have to, or need to: I am going to have to run faster if I want to catch the train. Ann needs to order some mealworms for her lizard. In the old letters and in new documents, must hasn’t varied much in frequency, but it has expanded in meaning. In the earliest of the letters, must communicated personal obligation and not much else. 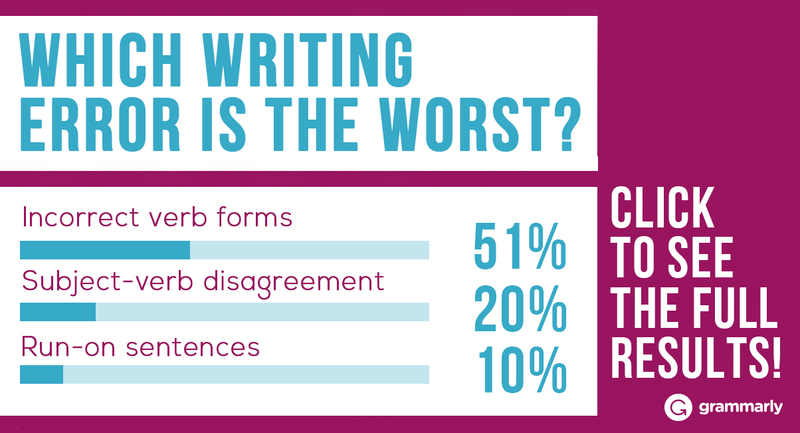 Over time, writers began to use must to talk about other things. You can view seven definitions on Dictionary.com that show its broadened nuances. Which term replaced must? In the letters, it was “have to.” In everyday speech, “have got to” may be used. Must might have gone out of style as a way to convey necessity, but it is still completely in vogue in modern vocabulary. So what’s the verdict? Should you throw out the declining helping verbs along with your faux-crocodile plaid loafers? Not so fast. While the data do conclude so far that the frequency of must declined between the 1960s and the 1990s, one of its freshest replacements, have got to, is going out of fashion as fast as it came into fashion. There may be a resurgence of must for expressing necessity, or some other way to express the idea of necessity may emerge. The point is, you can’t predict how fast or to what extent language will change over time. It is much easier to look back at the trends after several centuries have passed. If that’s the case, it will be the job of your great, great-grandchildren to figure out the fate of the helping verbs and fashion fads.